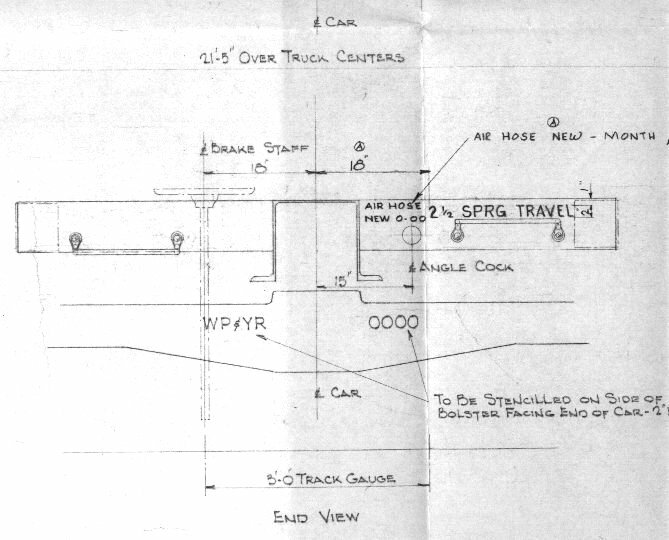 The drawing for a standard flat car was used with only the numbers changed. 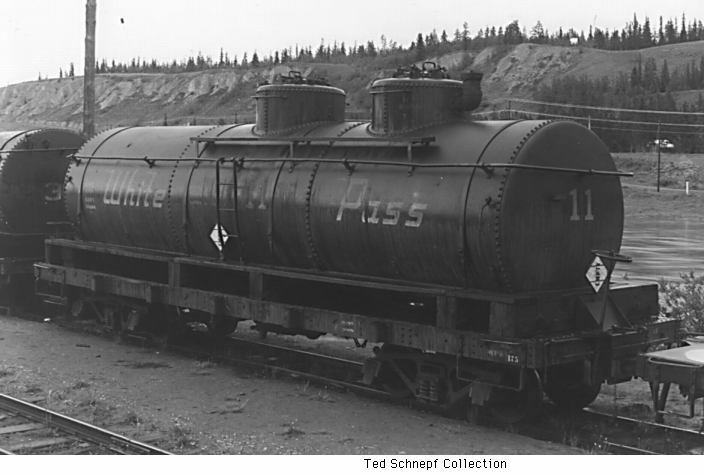 Tank cars 2 and 4-no diagram or photo. Do you have one? 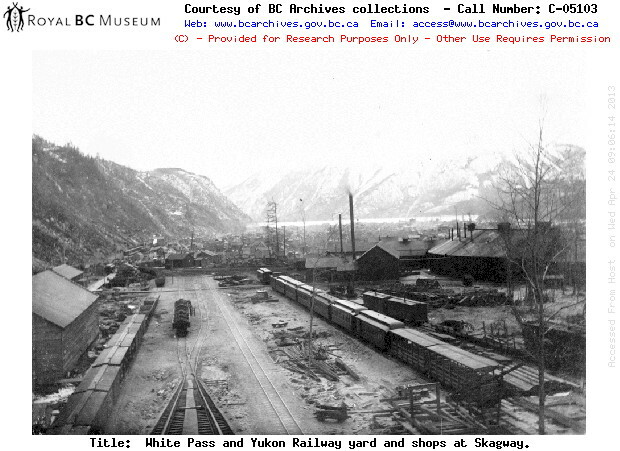 WP&Y bought some standard guage tank cars and put them on narrow gauge trucks. 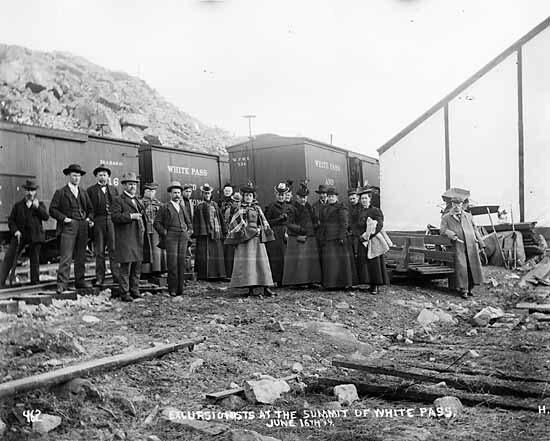 The US Army brought boxcars from Colorado & Southern and also some export models. After WWII, some were purchased or exchanged by WP&Y. 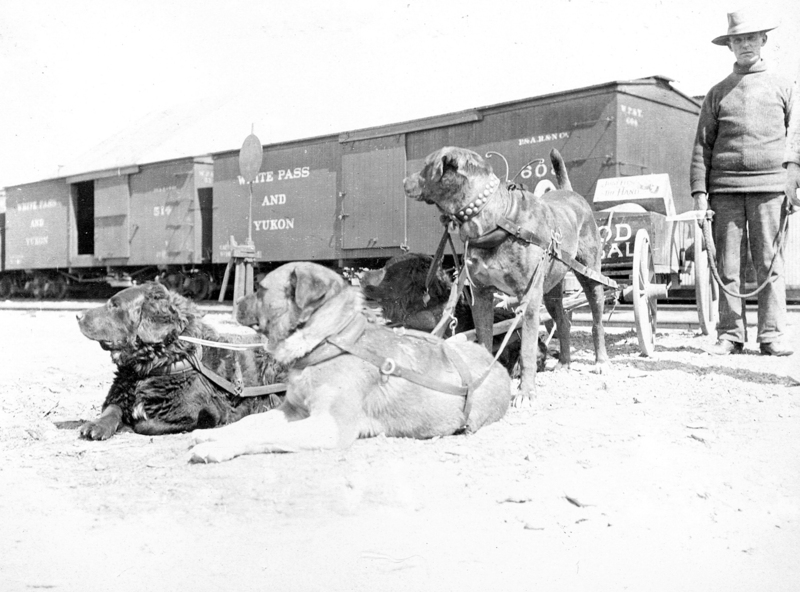 Later the WP&Y bought surplus boxcar frames from Hawaii. 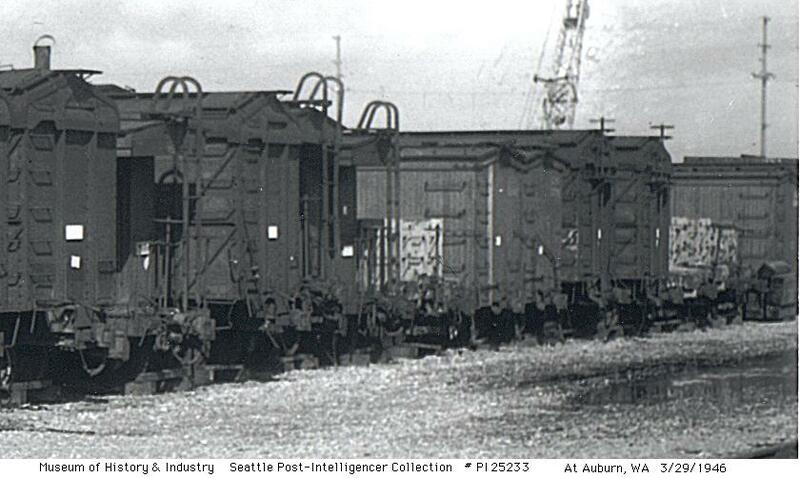 Army boxcars from Colorado on the White Pass docks in WWII. 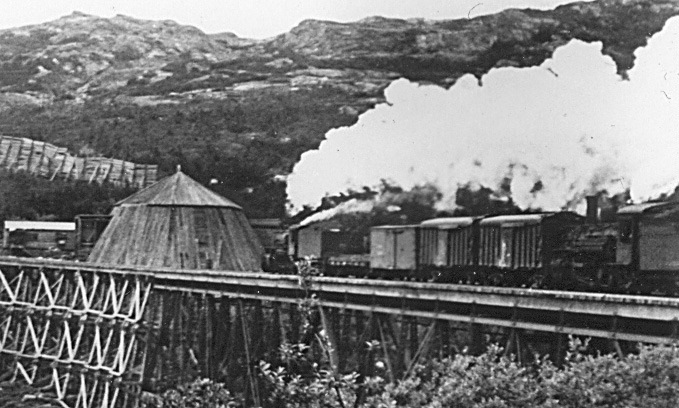 Hawaiian boxcar underframe being unloaded at Skagway. 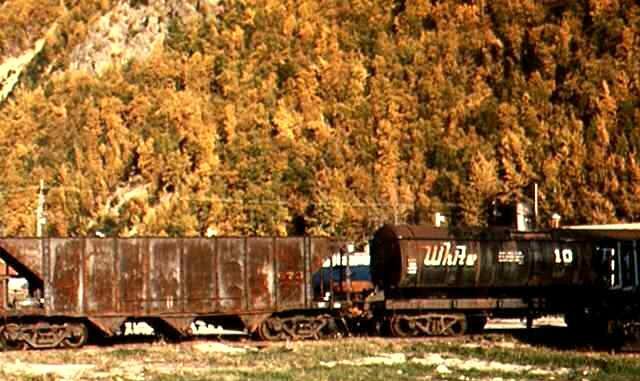 WWII Army boxcar--More photos needed. 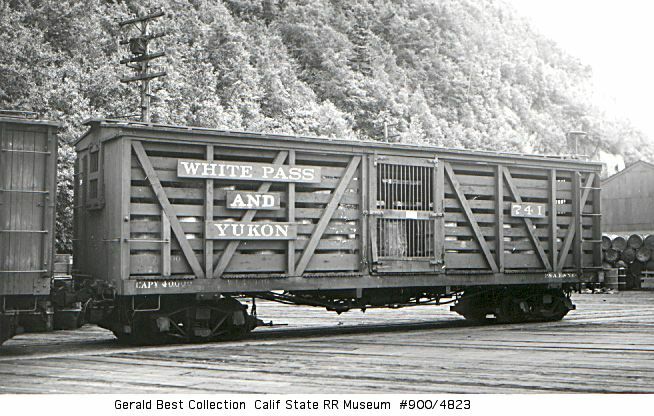 This export boxcar was built for South America to the same plan as the Army boxcars on the White Pass. 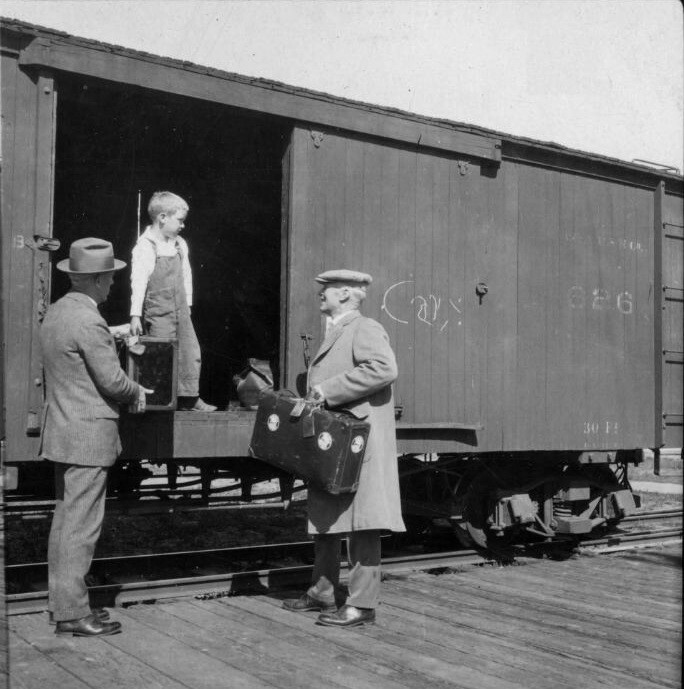 The Army boxcars were diverted from a South American order. 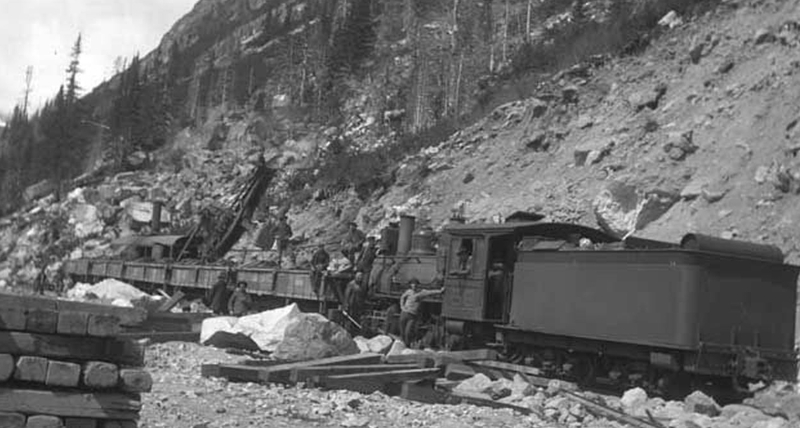 One USA ex-Colorado boxcar and 2 export style boxcars between a 190 class locomotive and a 250 class (K28) locomotive. 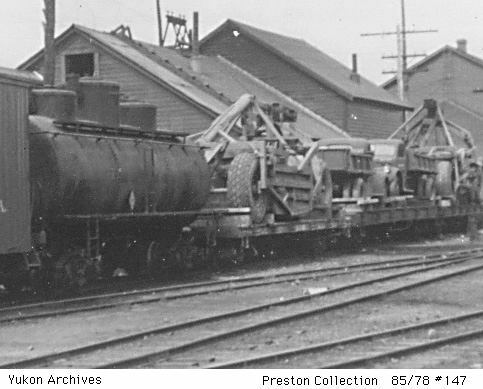 After WWII equipment was brought back to Auburn, Washington for storage, sale, or scrapping. 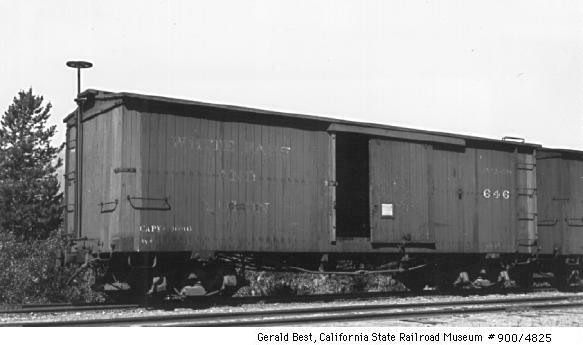 The first WP&Y containers were nearly cubical. 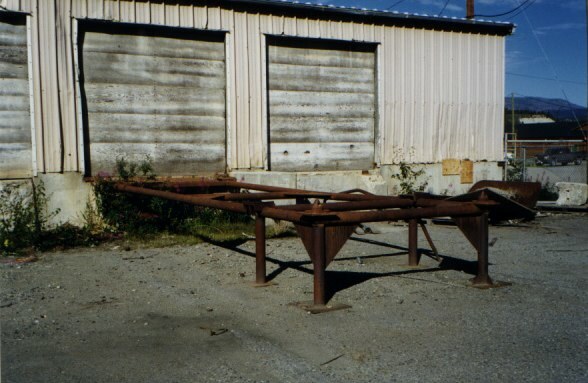 Later ones were 25 feet 3 inches long. Late style heated, insulated container. 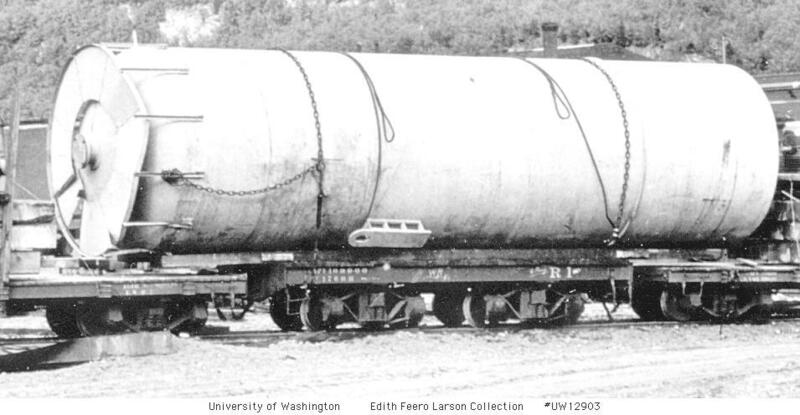 The earlier ore containers were long and were carried one on a flat car. 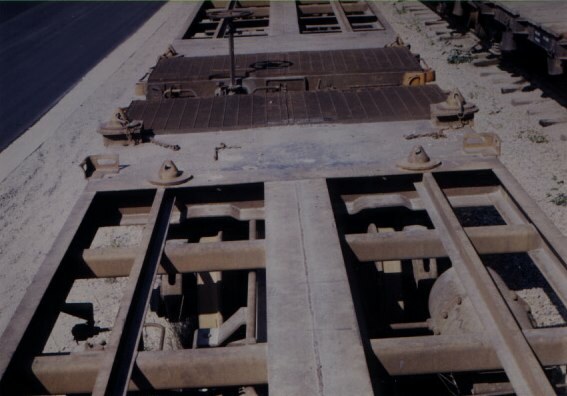 for standard 20 foot containers during the last years of freight operation. 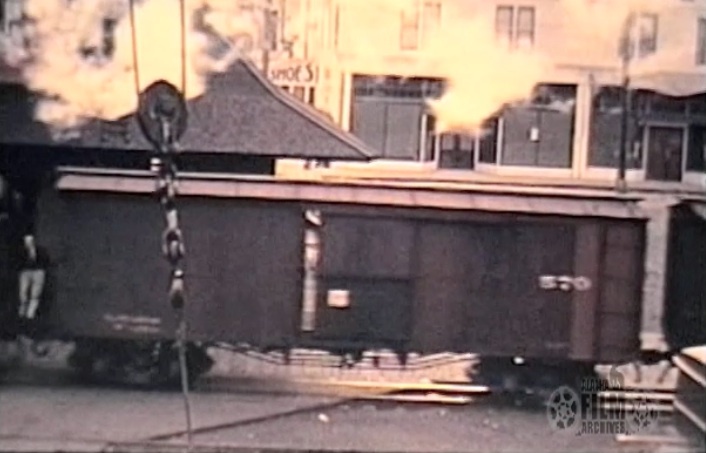 The standard freight container was 25ft. 3in. 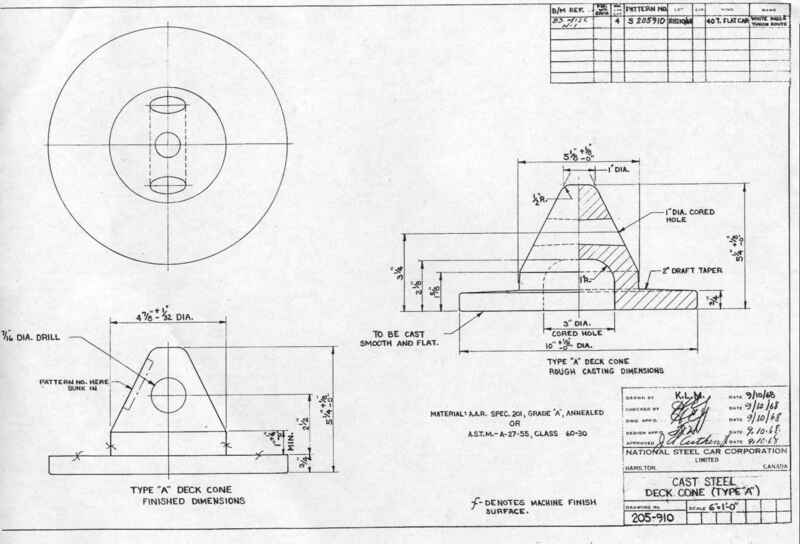 long and sat on the cones farthest back, originally at deck level. 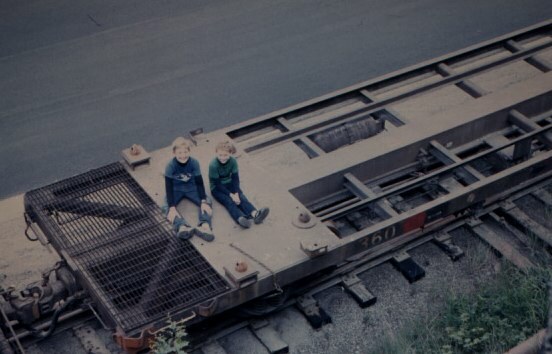 The nearest cones are for the long ore containers. 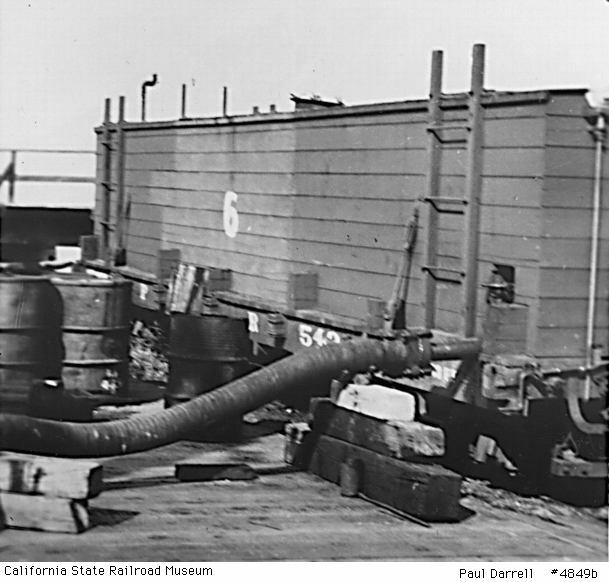 The car was adapted to common 20 ft. containers by raising the original freight container cones and adding the angles in between the 2 sets of cones to hold the corners of the 20 ft. containers. 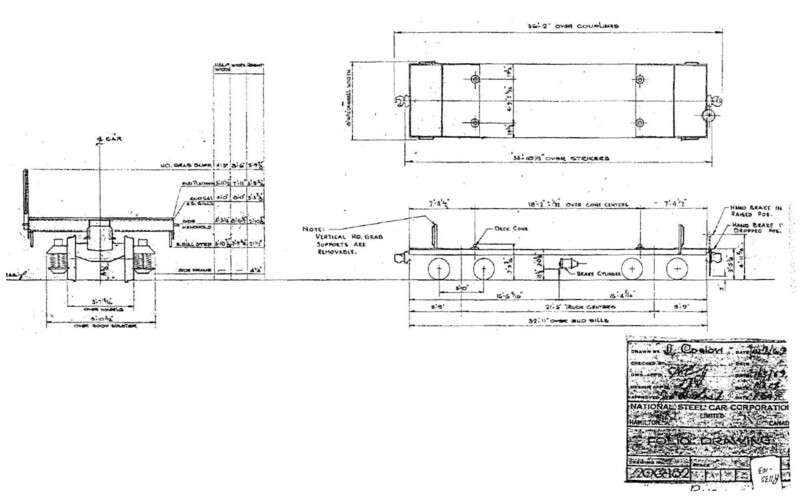 300-400 class flat plan as built for the long ore containers.